The conventional view in financial planning is that if something is “free” it’s not worth anything, and that therefore if we want consumers to really “value” financial planning, we need to charge for it. Yet the caveat, as expressed by author Chris Anderson in his book “Free: The Future of a Radical Price”, is that bundling “free” solutions with another paid product or service is an entirely legitimate business model, and in fact a surprisingly robust one. In fact, not only can a business be very profitable by giving away an initial product or service for ‘free’ and get paid for a complementary or supporting solution – the classic “freemium” model – but by leading with something that’s free, the business may actually grow and gain even greater adoption in the process. Arguably, this suggests that not only has offering financial planning for ‘free’ over the past several decades been a good business model, but it may have even helped to gain adoption and acceptance of the value of financial planning in the first place! On the other hand, the reality is that the ongoing advancements of technology are beginning to undermine the products and asset management services that have classically been the financial engine of the financial planning business model. From declining commission rates on products – to the decline of commission-based products altogether – and new threats to the pricing of asset management from robo-advisors, the question arises of whether the free-planning-plus-paid-financial-products-and-services model may be on its way out. In the near term, this phenomenon appears to be shifting the landscape, as financial services products and asset managers (e.g., Schwab, Fidelity, and especially Vanguard) begin to deliver their solutions directly to consumers – packaged together with ‘free’ financial planning. But perhaps in the future, the business model will flip around altogether, and instead of giving away free financial planning and getting paid via financial products or AUM, advisors will give away financial products and asset management, and get paid for the financial planning instead, turning the financial planning “freemium” model around 180 degrees? 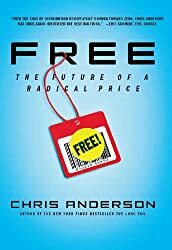 As the saying goes, “there’s no such thing as a free lunch”, but Chris Anderson’s “Free: The Future of a Radical Price” makes the case that incorporating “free” elements into a business model is far more robust than we commonly give it credit to be. Whether it’s the famous story of King Camp Gillette giving away razors for free to sell a lifetime of razor blade refills, or modern-day versions like cell phone carriers who give away the cell phone and sell you the ongoing cellular voice/data coverage, Anderson makes the case that the “free” components of a business model aren’t going away anytime soon, and in fact are something to be built around. And in reality, there are actually a surprising number of business models which can be built around elements of “free”. From offering a “complementary good” for free in the hopes you’ll buy something else too (e.g., the ‘free air’ at a gas station gets you to stop by the gas station and hopefully buy something else, too), to the “free” newspaper (and media in general) provided in exchange for the opportunity to advertise to the reader (and sell those advertising slots to companies who want to reach those readers), to the “freemium” model where a core solution is free in exchange for a premium version that costs extra (especially popular in today’s digital world, like Dropbox or Evernote). The essence of “free” as a business model is the cross-subsidy – the idea that even if one product or service is free, it supports the growth and sale of another. In fact, that is the origin of the saying “there’s no such thing as a free lunch” – as Anderson notes, the saying came from a practice in the late 1800s where saloons would give away a free lunch in the hopes that customers who came for food would buy [alcoholic] drinks that were highly profitable to the saloon. In other words, the free food was the enticement that was cross-subsidized by lucrative alcohol sales. Though notably, there’s some debate about whether the “no such thing as a free lunch” saying really originated as a reference to the fact that the saloon-keepers were giving away food in the hopes of selling alcohol (exposing the free ‘ruse’), or instead that the saying originated from the temperance movement that wanted to crack down on free lunches simply because the practice was promoting the consumption of alcohol! Ironically, social reformers at the time actually advocated for the “free lunch” practice, noting that while it might be supported by alcohol sales, it was actually performing a great social good – the number of hungry people fed in Chicago for free during the free lunch movement was estimated to be more than 60,000 per day, which exceeded the social support of all of Chicago’s other religious, charitable, and municipal agencies put together! In the context of financial planning, the “free” model with cross-subsidies should sound familiar… as it’s really the roots of how most financial planning has been delivered for the past several decades. First, it was financial planning for ‘free’ because the advisor got paid to implement the products at the end – a classic ‘freemium’ model. More recently, it’s been giving away financial planning for ‘free’ for an opportunity to gather assets that the advisor will be paid to manage on an ongoing basis (a version of the razors-and-blades Gillette model). In other words, ‘free’ financial planning has been cross-subsidized by product sales and asset management fees, producing what has ultimately been a remarkably robust business model, albeit one where financial planning is only paid for indirectly. For many advisors, the fact that financial planning has been given away for ‘free’ to support the sale of other financial products and services has undermined its value. As the prevailing view goes, “how will consumers ever truly value financial planning as long as we treat it like the free toaster you get when opening a bank account?” The basic concept: if we want consumers to really perceive value in financial planning, it needs to be priced and paid for directly to recognize its value. On the other hand, an essential point from Anderson’s book is that the model of giving something away for free (as part of a broader business model) doesn’t make it worthless. After all, if it didn’t have any perceived value to consumers, it wouldn’t work as a ‘free’ product to support a cross-subsidy in the first place! A free newspaper with valuable content is sought out, supporting its advertisers, while a free newspaper with worthless content isn’t read by anyone and loses its advertisers too. If the free is actually being used – in the case of a good newspaper, or a good financial planner – it’s still an implicit expression of its perceived value. In fact, ultimately one of the virtues of the free model is that it can actually fuel growth of the perceived value of the service. For instance, the market capitalization of Google is now upwards of $350B, built predominantly around its advertising businesses that succeed because of the tremendous adoption of Google’s “free” apps, from its search engine service to its offerings like Gmail and Google Maps. And the key distinction here is not only that Google makes money with a cross-subsidy that funds its free offerings… but Google never would have had such adoption in the first place if it charged for those services directly. Yes, a lot of people may care little about Google’s services and use them casually or wastefully, but it has also created a tremendous number of Google loyalists as well. In other words, Google’s success isn’t just a story of advertisers who cross-subsidize free solutions, but an explosive growth in the adoption of those solutions and the creation of loyal fans/users because they were free. Similarly, one might actually make the case that the entire reason financial planning has grown to the status it has is specifically because it has been offered largely for free over the past several decades, cross-subsidized by other products and services. Had financial planning been a separate service that was separately paid for throughout, it would have been utilized by far fewer people, which in turn would have limited its word-of-mouth growth, favorable public perceptions in the media, and more. In other words, while we might lament the fact that financial planning is given away for ‘free’ and supported by other paid products and services, that business model may also be the primary driver that’s given financial planning the popularity it has today! Creative Destruction In The Financial Planning Freemium Model? While one might make the case that financial planning has succeeded in part because its ‘freemium’ model actually allowed it to reach a wider initial audience on the basis that it was free, a significant challenge in today’s environment is that the “free” of financial planning was only possible because of the strength of the product and service solutions that cross-subsidized it. If selling financial products or services becomes less lucrative, the freemium model may be undermined. And in point of fact, it appears that may be what is already happening. As technology continues to commoditize elements of the financial services industry, it’s no longer feasible to get paid for brokering a stock, online brokerage platforms make it harder than ever to get paid a commission for selling mutual funds, and the rise of the ‘robo-advisor’ may soon start to pressure the ongoing AUM fee. As the profitability of these financial product and wealth management service models continue to be undermined, so too is the basis for the freemium financial planning model at risk. In other words, the increasing pace of industry conversations about unbundling financial planning fees and alternative retainer-fee-based business models may be less about a hunger for consumers to pay for financial planning, and more a potential change of necessity as the “free-financial-planning-paid-by-products-and-AUM-fees” just doesn’t work as the profitability of products and AUM fees faces a potential decline. Notably, Anderson points out that the nature of models based around ‘free’ is that they do dynamically change over time. As the world changes, and breakthroughs take things that were previously ‘scarce’ and make them ‘abundant’ instead, entirely new business models spring forth. The industrial revolution was powered by steam – literally – and the explosion of steam power to replace muscle/human power led to massive changes in business models, including most notably the growth of factories and mass production. Our ongoing digital revolution, and the explosion in access to information brought about by the internet, is once again forcing a reinvention of business models (think: newspapers and media). And as Garmin (maker of GPS navigation products) learned, beware when the core of your business model is a product that someone else can now give away under their new-world business model for free (i.e., Google Maps). One of the key tenets of Anderson’s book on “Free” is that in the digital world, the price of anything that is built around ‘bits’ (i.e., online data, services, and technology) will inevitably move towards zero. As both computing power, storage capabilities, and internet bandwidth continue to double every 12-18 months (a phenomenon known as “Moore’s Law”), any solution that is purely technology-driven will see its price continually decline. From Google Maps replacing Garmin navigation devices, to discount brokerages replacing stock brokers (human beings actually paid to broker stock transactions), to the possibility that robo-advisors will replace many of today’s portfolio management solutions (not necessarily the humans that deliver financial advice, but the actual implementation of the portfolios themselves). The implication of these trends is that while human advisors do provide important value in a financial planning relationship, it’s not entirely clear whether the business model to deliver it may soon have to be rebuilt. As Anderson notes, the process of change and technological advancement takes things that were once scarce and makes them abundant (from expensive Garmin navigation devices to freely available Google Maps), but in the process that creates new scarcities as well (Waze personalized traffic reports for those getting otherwise-free navigation services, ultimately sold [to Google] for $1B). Of course, the challenge of innovation and times of change is that it’s not always apparent what exactly is becoming ‘abundant’, and it’s often even less clear what will become scarce and desirable (and therefore able to command a value premium) on the other side of that change. As creatures that are hard-wired to focus on scarcity, it’s difficult for us to even conceive of a world where today’s scarcities are abundant, and then try to re-imagine what the new scarcities will be. Notwithstanding the technological pressures on much of the investment management industry, the reality is that distributing financial services products remains highly profitable, especially for the companies that ‘manufacture’ and distribute the products. Which means there may still be enough money in financial products to continue to maintain a “planning for free and paid for the products” model instead. After all, the steady decline of the commission-based model in financial planning didn’t lead to an explosion of paid-for-financial-planning alternatives… instead, it led to the rise of the AUM model (getting paid for a different product in a different way, but still with a free-for-planning-paid-for-something-else model). Accordingly, in the near term it seems that the next evolution of the free-based financial planning model may simply be a shift from independent advisors who give away financial planning to sell financial products and asset management services, to instead the financial product manufacturers “insourcing” their financial planning solutions and offering it for free to consumers directly, implemented with their own proprietary products (a trend that is arguably underway already, with the rise of insourced financial planning at companies like Schwab, Fidelity, and especially Vanguard’s Personal Advisor Services). In other words, the coming innovation in business models for financial planning may be the independent advisor being cut out as a ‘middleman’ while financial products companies offer their own free-financial-planning-plus-product-solutions directly to consumers! On the other hand, it seems that at least one potential alternative path is the idea that if the price of investment management services and various financial products is eventually moving towards zero – as technology makes investment management easier and easier to administer – then perhaps the financial planning business model of the future is not to give away the financial planning and get paid for the financial products and investment management, but to give away the financial products and investment management and get paid for the financial planning. What if we managed AUM for free and got paid for planning, instead of the other way around? After all, one of the most common ‘scarcities’ across most business models is that while information or a product may be abundant, the ability to apply a customized solution for your individual circumstances remains a scarcity. In fact, this is a cornerstone of many freemium models today – the standardized out-of-the-box solution is free (or at least very low cost), but getting a customized version adapted for your personal needs has a cost. And in point of fact, one of the key value propositions for financial planning has always been about its focus on adapting generic financial planning (and investment and insurance) strategies for the client’s personal circumstances, needs, and goals. Of course, the caveat is that to be a truly ‘scarce’ and valuable service, it might not be enough to simply try to start charging for financial planning and giving away the investment management for free. When consumers are already accustomed to paying for investment management (albeit for less and less) and getting planning for free, suddenly charging for a previously free service can meet significant market resistance. In point of fact, this is probably why fee-for-service financial planning has been slow to get adopted industry-wide over the past decade – there are still too many competitors giving away a similar/comparable service ‘for free’. In other words, for a breakthrough to really occur, it’s necessary to figure out what kind of financial planning service would be unique and differentiated enough from what’s already available for free, and is something that can be done more easily thanks to the abundance of technology supporting today’s investment management and financial products, and can still add up to a viable business model in the aggregate. Getting paid for financial planning and giving away the investment management might be one possibility (and some advisors have seen early success with such an approach), especially if it’s narrowed down to a particular type of niche clientele who receive a financial planning service that is truly unlike any others available for ‘free’. In the coming years, we’ll see which of these paths ultimately unfold. But nonetheless, if there’s one takeaway to draw upon from Chris Anderson’s book on “Free”, it’s the recognition that business models based at least partially on “free” are not likely to go away anytime soon, even if the nature of what’s free and what’s paid for will continue to change and evolve over time. And in fact, carefully considering what will be free and what will be paid impacts everything from the business model itself, to its ability to grow and gain adoption by consumers, and beat out other competitors. In the meantime, if you want more ideas and inspiration about how to evolve your own financial planning business in the future, I strongly encourage you to read Anderson’s “Free: The Future of a Radical Price” yourself!